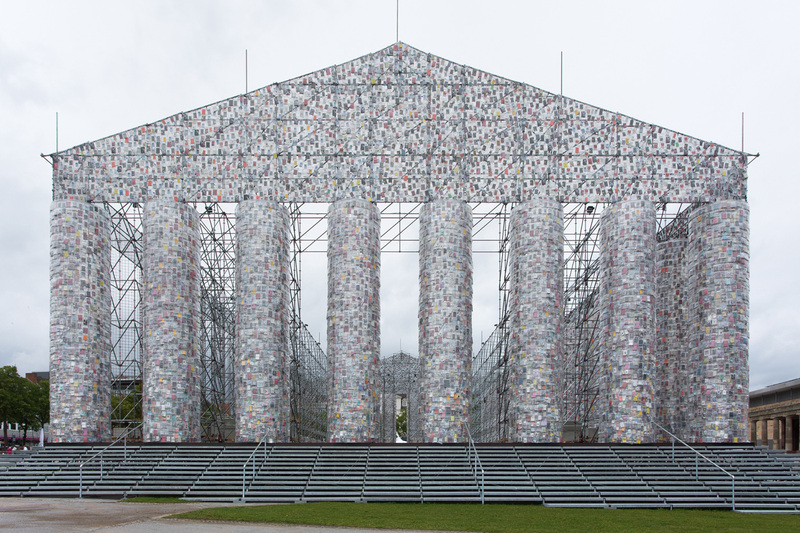 Once every five years, art-lovers from around the world descend on Kassel for Documenta, one of the most prestigious contemporary art exhibitions on the planet. With the event opening to the public in the German city on 10 June, we’ve rounded up a guide of must-see exhibitions that play with their surroundings while being steeped in ideas about our current socio-political landscape. 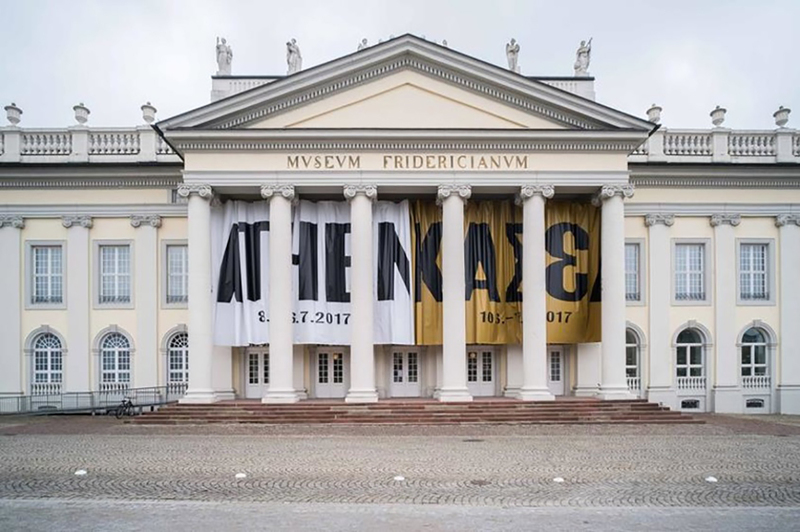 Traditionally held in Kassel where Documenta was founded in 1955, this year’s edition led by artistic director Adam Szymczyk is also set in Athens, where the event kicked off in April. It’s the first time the event has been hosted by two cities in equal footing and the decision to do so was a controversial move given the strained political and economic relationships between the two countries. 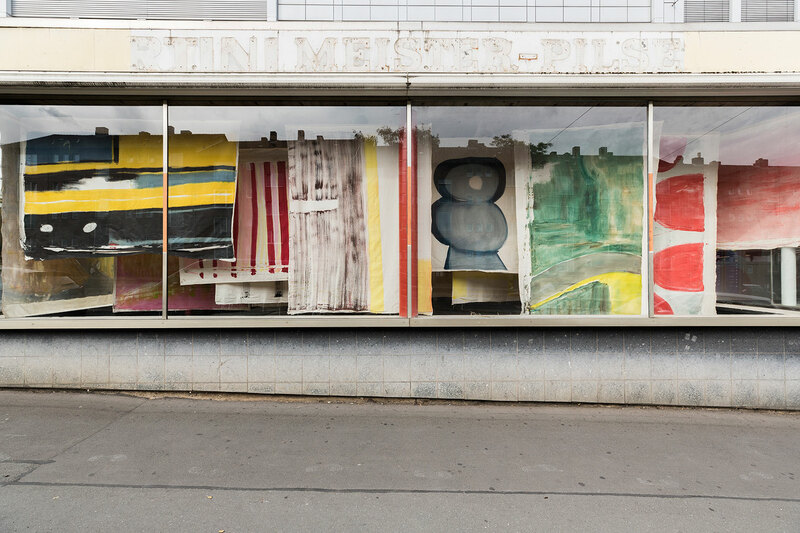 Documenta 14 (running until 17 September in Kassel) invites you to reorient and disorient yourself through the exhibitions dotted around the city. Curator Hendrik Folkerts suggests starting in the Nordstadt neighbourhood, home to many who migrated to the city after the Second World War, and following the axis towards the south. Many of the venues that are normally disused have also been activated for Documenta 14. ‘Reusing such sites of production to display an exhibition is an act of repurposing – of redistribution, if you will – to reveal the stories of certain architecture and transform its function,’ says Folkerts. 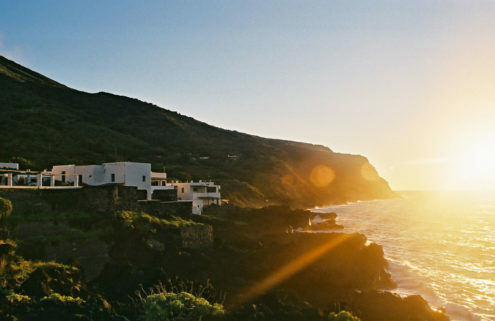 Here’s a whistlestop tour of what not to miss. In the back of a functioning Brutalist post office, Documenta 14 has cleared out space for a venue they’ve renamed as the Neue Neue Galerie. 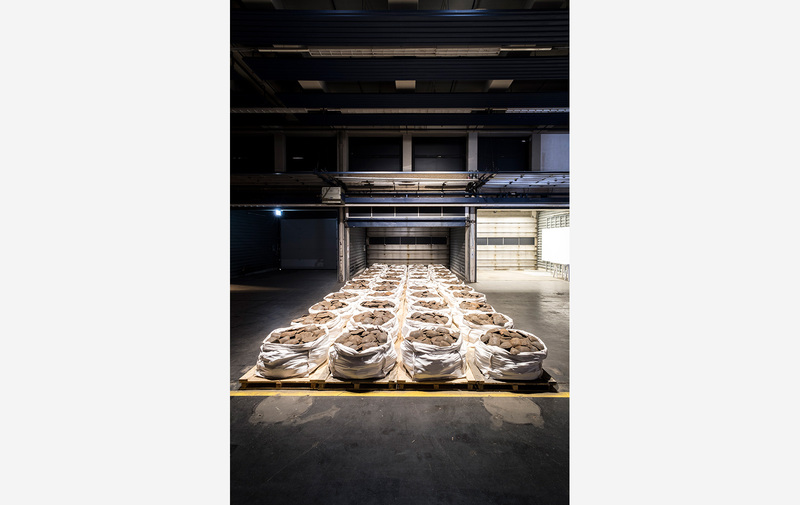 In the main hall, American artist Dan Peterman has filled a large section with iron ingots in sacks to question the economic relationship between Germany and Greece. But the piece doesn’t end there, trails of ingot are also found in other Documenta 14 venues, so keeps your eyes peeled. 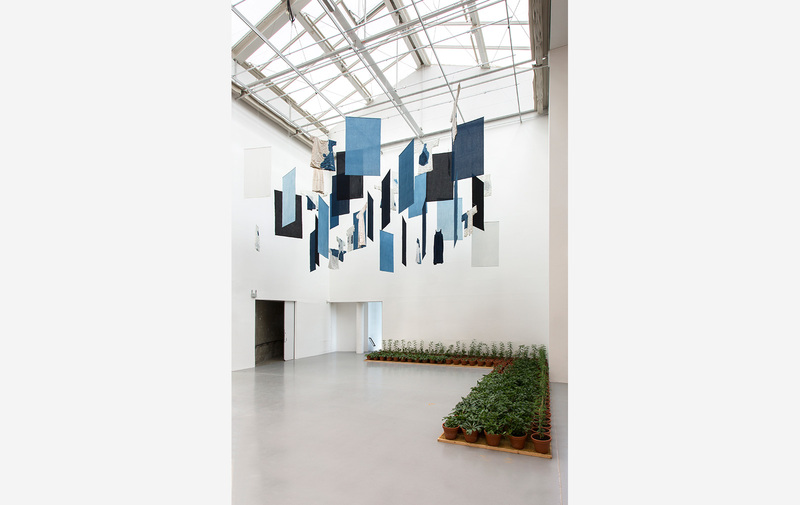 Housed in a glassy commercial space that is now abandoned, massive canvases by Buenos Aires-born artist Vivian Suter hang from the ceiling to create an enclosure of colours and forms. ‘Her paintings boldly occupy space, bisect it, interrupt and dialogue with it in a way that is pivotal, sculptural, an animated invitation to the body and the senses,’ writes Moyra Davey, an artist and contributor to Documenta 14’s Daybook publication. Standing tall in the same site where the Nazis once burned 2000 books, the impressive replica of the Greek temple is made up of banned books from around the world. First constructed after the fall of the military and civilian dictatorship in Argentina in 1983, its 2017 manifestation is a one-to-one scale replica of the Parthenon in Athens and ‘a preeminent symbol of democracy’, says Candice Hopkins. 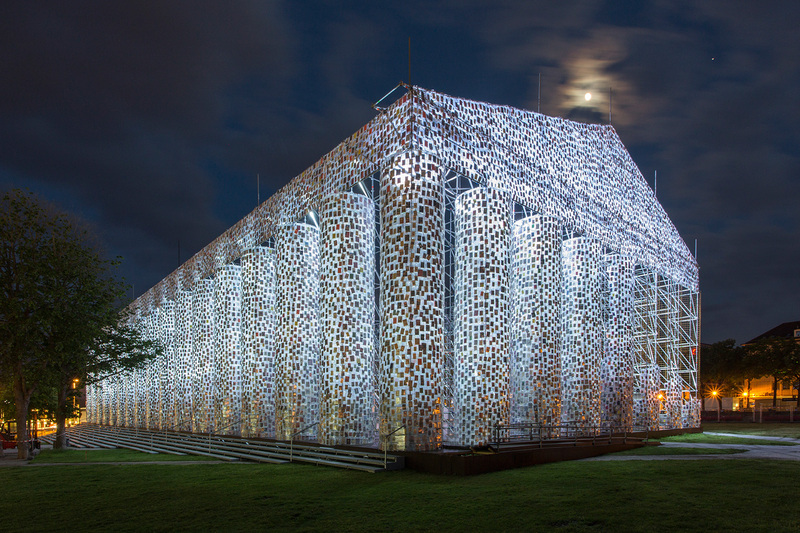 Minujin, born in Buenos Aires, hopes to have up to 100,000 donated books fill the columns of the structure as a way to protest censorship. 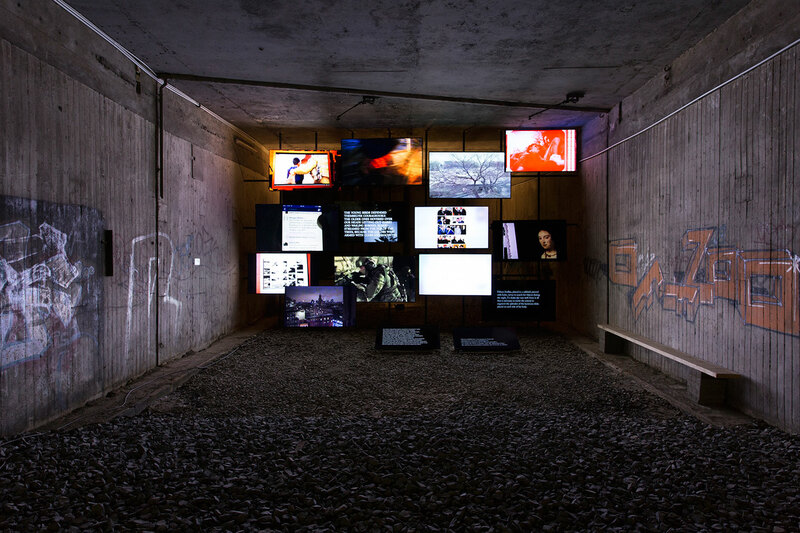 To get to Michel Auder’s new 14-channel video installation, you have to enter an unassuming shipping container in front of Kassel’s main train station that leads to the lower level of the city’s former underground station. In a dark tunnel, The Course of Empire stuns viewers with an array of imagery filtered through iPhones and text excerpts from German researcher Alexander von Humboldt. 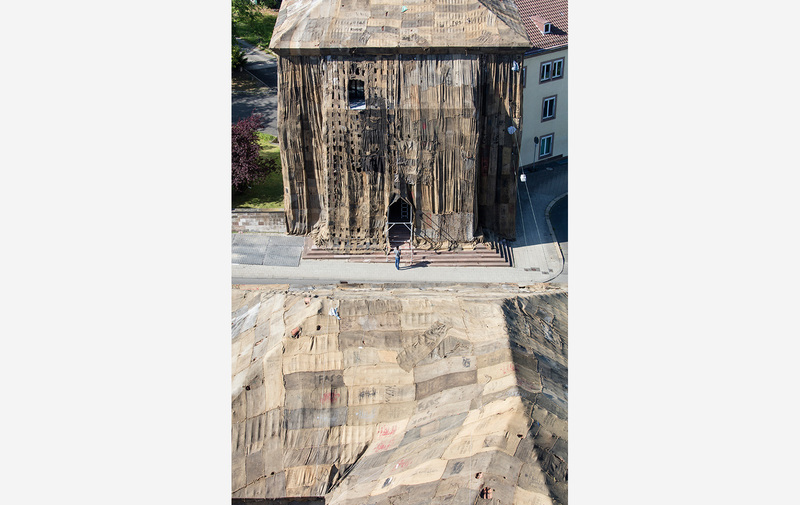 Ghana-born artist Ibrahim Mahama has covered the Torwache venue with a collage of tattered jute sacks stitched together like a huge, somber blanket. ‘It is possible to disrupt and subvert the politics of spaces by granting them new forms, imposing new meanings upon them, or divesting them of their intended significance,’ says Documenta 14’s curator-at-large Bonaventure Soh Bejeng Ndikung about the installation. 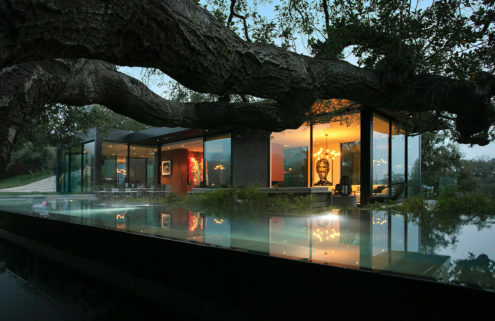 Ciudad Abierta is a Chilean architecture collective made up of artists and poets. 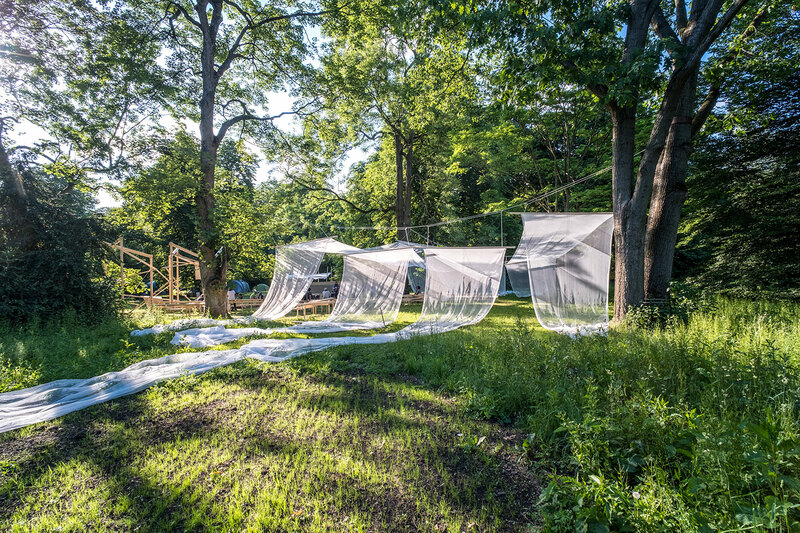 The group has constructed an airy outdoor pavilion for performances and experimentation hidden among trees in a corner of Karlsaue Park. 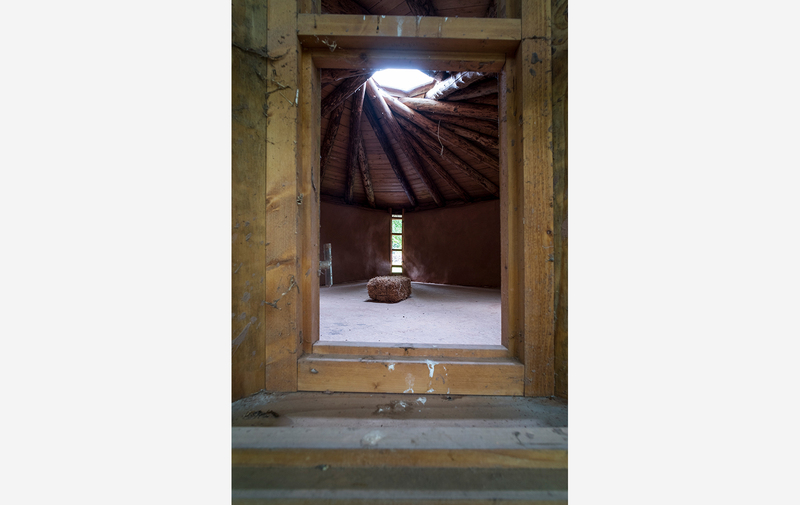 Ciudad Abierta’s elegant makeshift structure embodies the collective’s ethos of improvisation in both living and building. At first glance, it looks like the historic Fridericianum is on fire. 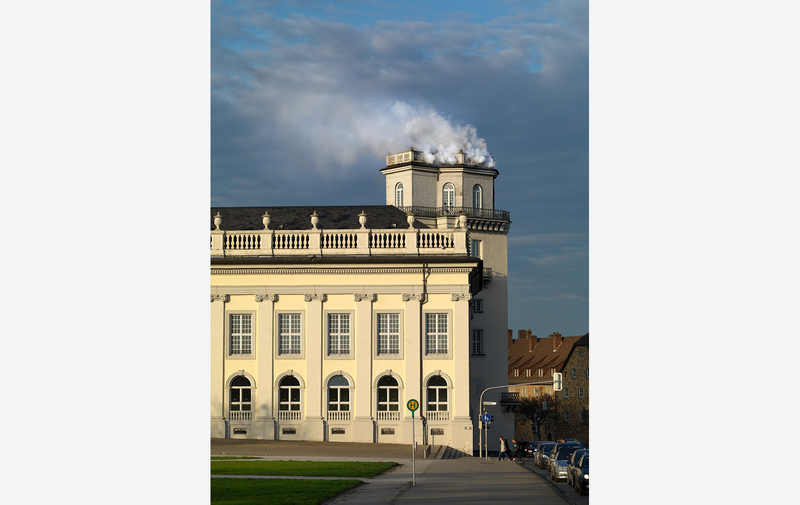 After a couple of days in Kassel though, your panic will wane as you learn the white smoke billowing out of the tower of Documenta 14’s main venue is an installation by Romanian artist Daniel Knorr and is there to stay for the entire duration of the event. Located in a venue with one of the highest density of artworks, Aboubakar Fofana’s installation is a sanctuary of calm and harmony amidst the Documenta 14 chaos. Informed by his spiritual practice, naturally dyed fabrics in shades of indigo are hung unevenly above rows of potted plants. 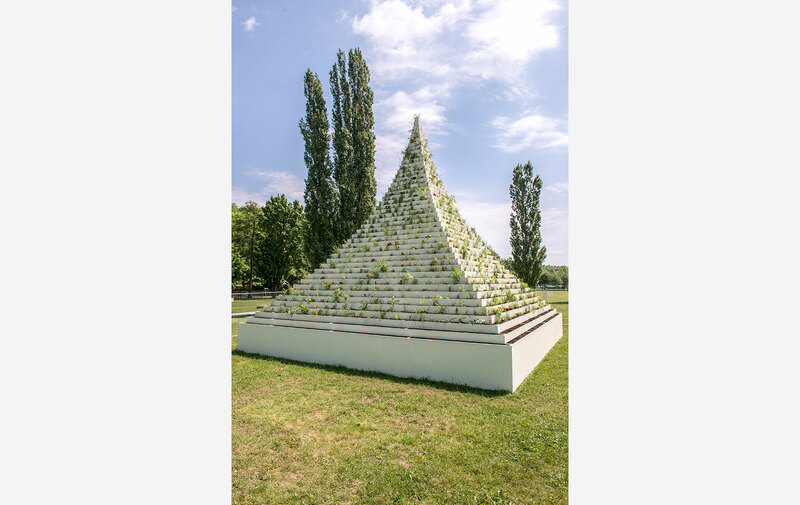 Consisting of handmade earth blocks, this new dome by German artist Gernot Minke strives to bring building with earth back to life while exploring the acoustic and therapeutic uses of architecture. Only one visitor is allowed in at a time.